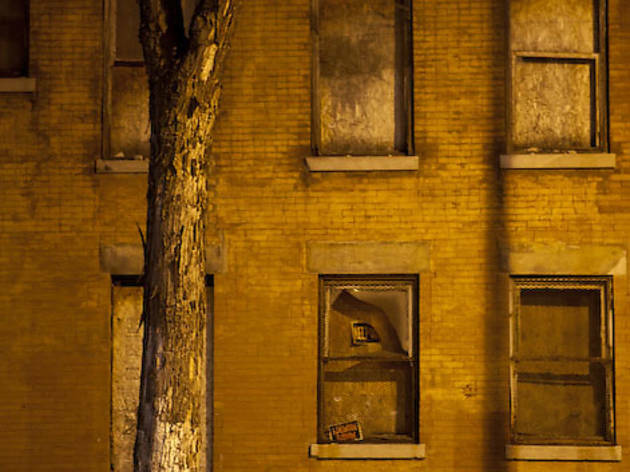 Citywide, more than 12,000 abandoned properties sit in limbo—and you’re paying for it. 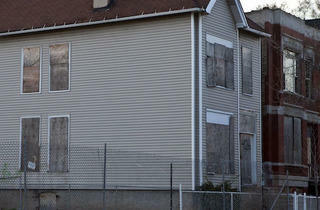 Its interior covered in gang graffiti, a house in Roseland on Chicago’s Far South Side sits abandoned. Its plumbing and electrical system have been ripped out by thieves, and homeless people and drug users come to get high or into other kinds of trouble most nights, according to neighbors. Recently, a man allegedly tried to accost a young girl outside and drag her into the building. 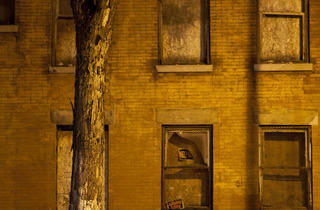 Next door, an elderly woman lives alone, kept awake most nights by the noise and her own worry. 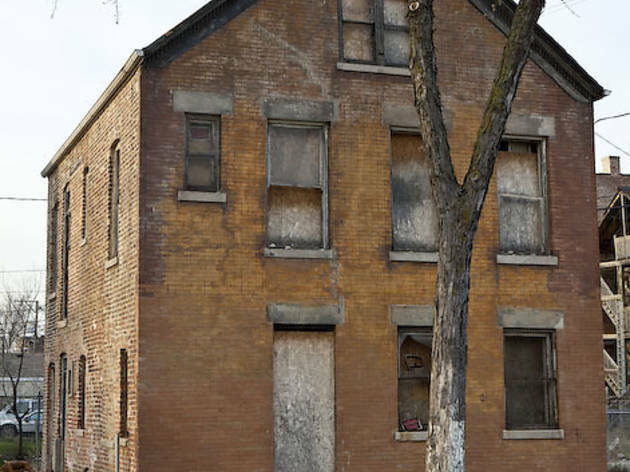 There’s no homeowner for her to appeal to, because as with nearly 70 percent, or about 12,600, of the city’s 18,000 vacant buildings, it’s in limbo: not owned by the family who left it, but due to some crafty paperwork, not quite owned by the mortgage lender that took it over. The woman—who remains anonymous for her safety—calls 311 again and again to report the arson and drugs she sees next door. Finally, the city takes action and demolishes the abandoned building. She emerges from her house in tears, so happy to be free of it and of all the trouble it brought to her block. But that woman’s moment of relief cost at least $23,000—and you paid for it. 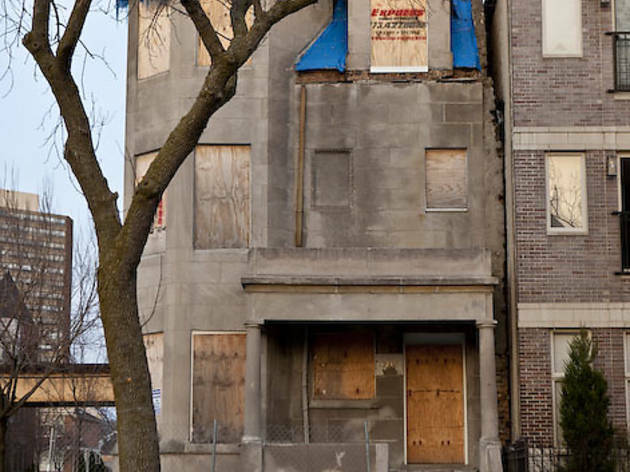 When a property deemed dangerous by Chicago’s buildings department doesn’t have a clear owner, the city foots the bill for destroying it, efforts that drained $14 million of taxpayers’ dollars last year alone. 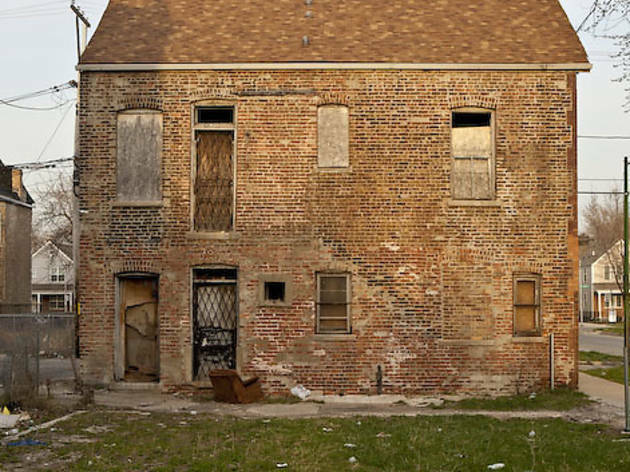 Chicagoans are also paying for the upkeep, however scant, of these abandoned buildings, be it the cost of dispatching police officers to respond to 911 calls or sanitation workers to mow the lawn. And neighbors are paying even more: in higher crime rates, decreased property values or, in the most drastic cases, lives lost to fires. 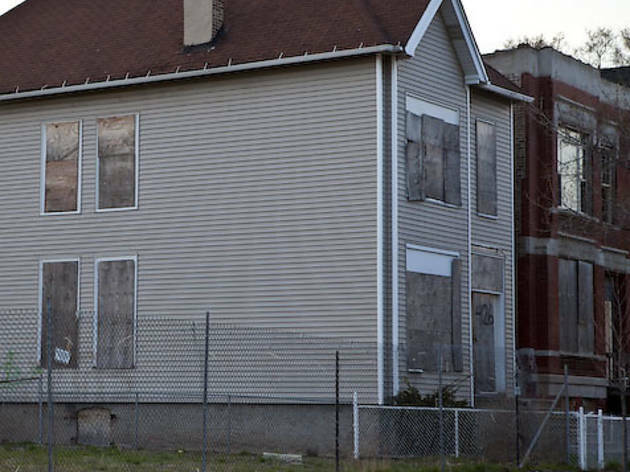 “We’ve all heard about how foreclosure hurts the family that has to give up their home—but what’s left behind also continues to devastate neighborhoods,” says Department of Buildings commissioner Richard Monocchio, who’s worked in Chicago housing redevelopment for more than 15 years. Monocchio knows of at least 5,000 vacant properties citywide—most residential—that have no financial value and need to be demolished, which his department is slowly doing. (The remainder of the 18,000 may still have potential to be sold.) The department took down 535 such buildings last year. 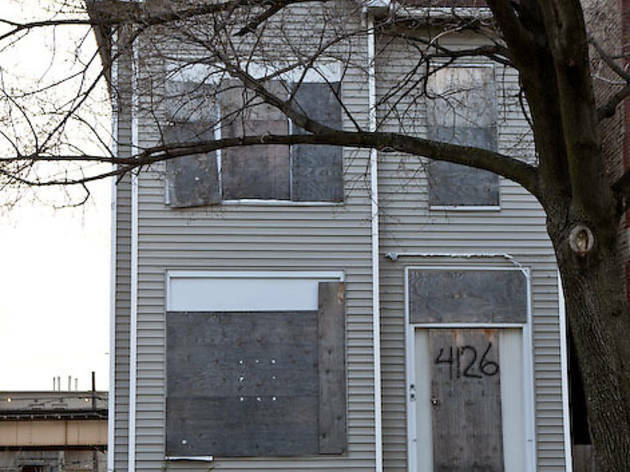 Most of them are on the South and West Sides, but these foreclosed-on “negative value” buildings are “becoming more prevalent in neighborhoods that haven’t seen it before,” he says, citing at least one in nearly every ward. 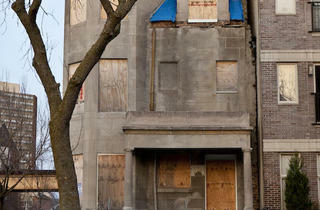 That’s exactly what killed two firefighters and seriously injured 17 others in a massive South Shore blaze in December. A laundry building, which had been abandoned for more than five years, caught fire, and a roof collapsed, trapping the firefighters. The building owner next door told newspapers that homeless squatters regularly slept in the building, which he’d reported to police several times. 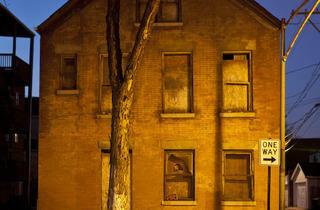 But even after police would secure it, squatters would break in again. Leading up to the fire, the building had 35 unresolved building-code violations, starting in 2000. The property had gone back and forth in the courts between the original owner and a mortgage lending company. Why the dodgeball? When a house that’s not worth anything goes into foreclosure, it’s not in the financial institution’s best interest to own the title to the house. “The bank never finishes the paperwork for ownership—a legal practice that leaves the property in limbo for years,” Monocchio says. And providing city services costs upwards of $25,000 a year more for a vacant building than it does for an occupied property. 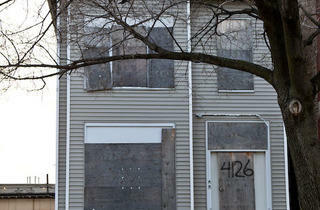 A vacant property tends to get more 911 calls, and it’s costly to send personnel. If the property is in the hands of the court, which is common in these limbo cases, the buildings department has to do several inspections, and the city has to pay lawyers to go to court and prosecute owners to fix the buildings, board them up or demolish them. The Streets and Sanitation Department has to clean up, because no one else is mowing the lawn, not to mention that people often dump trash and tires in the yards of abandoned homes. The city is so desperate for banks to tear down dangerous abandoned buildings that it’s offering to erase all previous liens, fines and fees against any such property if it’s demolished—and still, the financial institutions rarely step up, since they would have to pay for the demolition. The Illinois House is considering Bill 1109, which would obligate banks to maintain and secure properties when they foreclose. Not surprisingly, Monocchio is hoping it passes, while financial institutions are fighting it. “Getting banks to take responsibility for their abandoned buildings is the most intractable problem I’ve seen,” Monocchio says. Meanwhile, residents are stuck. 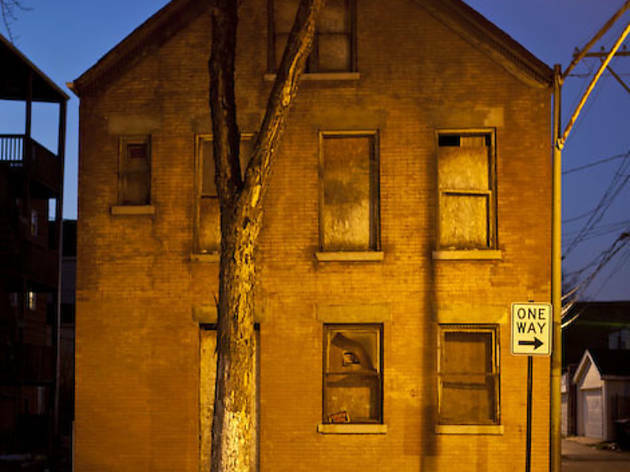 La Toia Janine, 31, of Woodlawn, grew up playing in abandoned houses on the South Side. “We would run around in them or use them as a shortcut and come home with pieces of glass in our hands. When people were running from the police, they’d cut through the buildings,” Janine says. 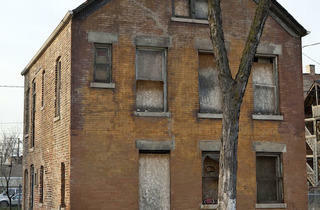 Now, she says the number of abandoned houses has only increased. 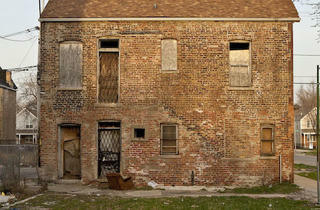 She documents the abandoned buildings in her neighborhood at uninhabitedproject.blogspot.com, while linking to articles that depict the severity of the issue.